Got stubborn fat? There’s a device for that. Muffin top, love handles, back fat — call these atrocities what you will — my lumps and bumps were permanently melted away with Dr. Roberta Del Campo with just one TruSculptiD treatment. 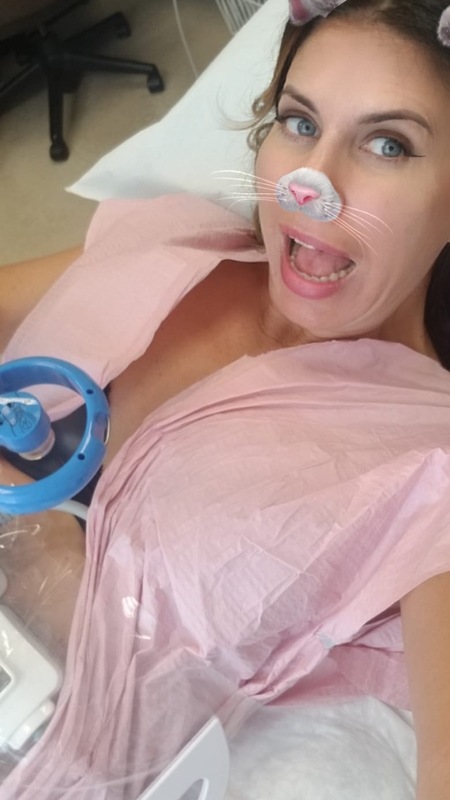 The first and only provider to offer TrusculptiD ($1,000 to $3,500), Doctor Del Campo burned 24 percent of the fat in my abdomen in 15 minutes (versus competing devices which can take upwards of 45 minutes) — with no downtime. The pain factor? Unlike CoolSculpting (which freezes the fat and did not work on me FYI), this device delivers heat to the entire fat layer. I’m a wuss so at times I did feel uncomfortably hot but with the help of a hand-held fan and chatting away with Dr. Del Campo, I was able to make it through all 15 minutes like a boss. Again, Dr. Del Campo tells me that in 12 weeks I will notice an average of 24% fat reduction in my abdomen. Sayonara, muffin top!